Cool, fresh and trendy. 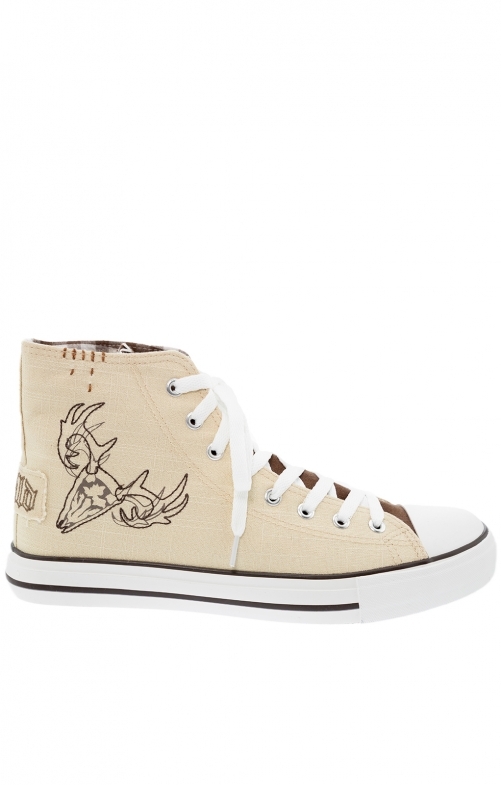 Even those who are not fans of the traditional look love the unconventional Krüger dirndl traditional sneakers: An eye-catcher is the light summer shoe made of 100% beige linen with the trendy deer appliqué. Suits summer jeans and leather trousers. Ideal for young men looking for a cool variation to the Haferlschuh for the traditional wedding.